Boost your digital and social media marketing efforts by booking a one-to-one session with head tutor Dawn McGruer – The online social media training 1 hour sessions are ideal to boost your online presence and get ahead with internet marketing. 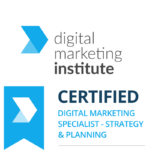 Ideal for businesses who would like ongoing training, development, guidance on strategy and assistance in their digital and social media marketing planning – These power hours are completely tailored to your own personal learning objectives. This is a popular option when looking at training options for topics we don’t offer face to face courses for such as Google Adwords or to help develop your skills after attending one of courses etc. Our POWER HOURS are one of our most popular services we offer as they offer continuous professional development through guided learning and mentoring. They bridge the gap of knowledge – implementation – strategy – We provide all the aspects an external marketing consultant or agency would provide but we teach you how to do it and work with you to implement and manage it as well as assisting in reviewing results and monitoring effectiveness. ONLINE TRAINING in bite size one-hour sessions based around your own learning objectives. Most clients use these sessions to support their implementation and development of digital and social media plans. We structure our courses to advise the best course of action in terms of strategy as well as actually teaching you how to implement and manage the aspects and actions plan. We tend to find weekly or monthly sessions are the most popular options initially moving onto quarterly sessions thereafter but you can book ad-hoc sessions too. What can the sessions cover? The sessions can be interactive training courses or a combination of training with a view to creating a strategy – It is entirely up to you! PLEASE NOTE: Our trainers cover most areas of business related skills training from customer services to presenting etc. These sessions run every week – You can simply place an order and we’ll be in touch to find out when you would like your POWER HOUR and also what you would like to cover so we can build you own personalised session. Simply BOOK ONLINE & we’ll be in touch to arrange a convenient date then you send us your objectives and we will tailor your online session to your exact needs. You can use these 1 hour sessions however you like – As training or consultancy – Anything relating to digital marketing and your online presence can be covered by your course tutor. You can use the time to have digital marketing tools, campaigns and strategies set-up by Dawn and she can teach you what she’s doing along the way so you can develop and amend projects later. Plus you’ll get a video recording of the session to refer back to. You can use Dawn’s time to plan or develop strategies, learn new skills or ask advise and feedback on current activities – She can suggest best course of action and help brainstorm ideas or even show you proven case studies and business models that you can template for your own business.…You choose and we prepare the session accordingly to ensure you achieve your goals! All you need is access to a computer so you can see our screen and you can talk through your speakers/ headset or dial in using a telephone. All course materials, workbooks and after course support are included and you will receive a recording of the session after the course to refer back to. This training course will be hosted by Dawn McGruer FRSA MCIM MIoD. Dawn is a strategic digital & social media marketing trainer, practioner, consultant, author and blogger who has over 15 years experience in the digital marketing arena.